This year it is jointly hosted by The Division for Social Policy and Development (DSPD) of the Department of Economic and Social Affairs (DESA), the NGO Committee on Social Development and the Friedrich-Ebert-Foundation on February 1 –2, 2016. 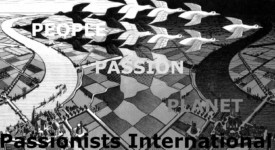 The Civil Society Forum provides an opportunity for the Passionists International and for NGOs worldwide to learn about each other’s work, to prepare for the commission, including work on position papers and interventions. The Civil Society Declaration is available for download in English, Spanish and French.